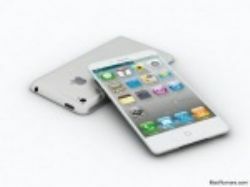 Apple’s latest pair of iPhones will reportedly begin mass production in July and August, according to a new report. While many a rumor about the notoriously tight-lipped Apple should be taken with a sizable grain of salt, a number of reliable sources over the past few months have insisted that the next iPhone generation will feature 4.7-inch and 5.5-inch units, the better to compete with popular “phablets.” Many of those sources also suggest that Apple will release at least one of the new iPhones this fall. Click here for iOS-related jobs. This latest report, from Taiwan’s Economic Daily News (hat tip to Apple Insider for the link), also stated that Foxconn could hire more than 100,000 additional factory workers to meet the manufacturing demands of the new iPhones. What else has leaked about the iPhone 6? According to CNET (itself relying on a Chinese website), Apple’s next smartphones could include a 13-megapixel camera sensor manufactured by Sony, which would offer a significant improvement over the 8-megapixel model currently present in the iPhone 5S. What’s of greater certainty is that the next version of the iPhone will run iOS 8, which includes several improvements to messaging, image-taking, notifications, keyboards, Spotlight, and iCloud integration; new Apple-built apps include Health, which will monitor the user’s health and fitness data (possibly via integration with future hardware such as Apple’s long-rumored iWatch). For those IT administrators and other pros tasked with managing their companies’ technology and networks, the release of the iPhone 6 will mean a period of necessary adjustment. Even those shops that don’t rely heavily on iOS should probably prepare: The device’s release, combined with Apple’s newfound focus on the enterprise, could mean the iPhone becomes even more of a business player in coming years.